This year sees a double celebration for steam specialist TLV as the company celebrates the 60th anniversary of its founding and 25th anniversary of the launch of the COSPECT®, which many customers believe is the “ultimate steam pressure reducing valve”. 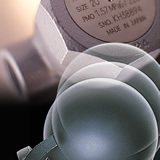 Founded in 1950 in Japan, TLV is now a recognized global leader in steam engineering. TLV (the name derives from ‘Trouble Less Valve’) has always strived to manufacture innovative, high quality, long-lasting steam engineering products and systems. One of its early successes – the A3 steam trap – was developed over 50 years ago and was awarded 7 patents. Although it was priced 3 times higher than conventional traps, it offered 10 times the service life, and was warmly received by the market. One of the unique features of A3 was the steam heating, condensate cooling, double-jacketed thermodynamic design which was unaffected by ambient conditions. A3 evolved into A3N with an integrated air venting feature and became one of TLV's foundation products. TLV also revolutionized fluid control technology with the launch of its patented Free Float® Steam Traps which, with only one moving part, ensures long life and reliability. With COSPECT®, TLV applied its fluid control technology to solve the many critical problems associated with standard steam pressure reducing valves, including fluctuations in primary and secondary pressures and valve hunting and vibration. The COSPECT® combines three unique features – a shock absorbing spherical piston, cyclonical effects separator and a steam trap – that not only save space but also simplify system layout, piping and maintenance. The COSPECT® also ensures that dry saturated steam is provided at constant pressure and temperature, which helps to improve product quality. 60 years on TLV is established internationally, operating in over 12 countries with a network of more than 100 distributors in more than 50 countries, and providing engineering support throughout the world. Through its innovative products and services the company also plays a vital role in promoting energy efficiency and environmental conservation worldwide.